On August 19, 1830, German chemist Julius Lothar Meyer was born. Meyer was one of the pioneers in developing the first periodic table of chemical elements. He discovered the Periodic Law, independently of Dmitry Mendeleev, at about the same time (1869). However, he did not develop the periodic classification of the chemical elements as thoroughly as Mendeleev. 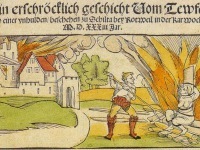 Julius Lothar Meyer was born in Varel, Germany (then part of the Duchy of Oldenburg), as the son of Friedrich August Meyer, a physician, and Anna Biermann. 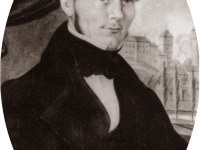 After attending the Altes Gymnasium in Oldenburg, he studied medicine at the University of Zurich in 1851. He studied under Carl Ludwig, which prompted him to devote his attention to also physiological chemistry. In 1853, he went to the University of Würzburg, where he studied pathology, as a student of famous Prussian physician Rudolf Virchow. After taking his M.D. degree from Würzburg in 1854, he went to Heidelberg, where Robert Bunsen held the chair of chemistry. From thence he migrated to Königsberg, where he remained until 1858. 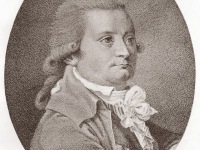 At Königsberg his studies were devoted mainly to mathematical physics under the guidance of mineralogist, physicist and mathematician Franz Ernst Neumann. He also pursued there his earlier physiological interests by studying the effect of carbon monoxide on the blood. In 1858, he graduated with a Ph.D. in Breslau with a thesis on the action of carbon monoxide on the blood. With this interest in the physiology of respiration, he had recognized that oxygen combines with the hemoglobin in blood. In 1859 he became Privatdozent in physics and chemistry at the University of Breslau. In 1866, Meyer accepted a post at the Eberswalde Forestry Academy at Neustadt-Eberswalde, where he remained until 1868, when he went to the Polytechnikum in Karlsruhe to be appointed a professor. 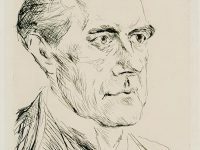 Meyer is best known for his part in the periodic classification of the chemical elements. He noted, as J. A. R. Newlands did in England, if each element is arranged in the order of their atomic weights, they fall into groups of similar chemical and physical properties repeated at periodic intervals. According to him, if the atomic weights were plotted as ordinates and the atomic volumes as abscissae — the curve obtained a series of maxima and minima — the most electro-positive elements appearing at the peaks of the curve in the order of their atomic weights. His book, Die modernen Theorien der Chemie, which he began writing in Breslau in 1862 and which was published in 1864, contained an early version of the periodic table containing 28 elements, classified elements into six families by their valence — for the first time, elements had been grouped according to their valence, a number referred to as the combining power of each element to link together a particular family. The textbook went through five editions and was translated into English, French, and Russian. Works on organizing the elements by atomic weight, until then had been stymied by inaccurate measurements of the atomic weights. In 1869, Dmitri Mendeleev published a periodic table of all known elements . A few months later, Meyer published a revised and expanded version of his 1864 table independently, which was similar to that published by Mendeleev and a paper showing graphically the periodicity of the elements as a function of atomic weight. Meyer, as well as other chemists, was doubtful about Mendeleev’s periodic law, and he criticized Mendeleev for “changing existing elements’ atomic weights, only regarding possibility of periodical law in its structure“. However, Mendeleev’s work received significant support, when the new elements were found as predicted and atomic weights accordingly. In 1882, both Meyer and Mendeleev received the Davy Medal from the Royal Society in recognition of their work on the Periodic Law. In 1870, during the Franco-German campaign, the Polytechnic was used as a hospital, and Meyer took an active role in the care of the wounded. In 1872, Meyer was the first to suggest that the six carbon atoms in the benzene ring that had been proposed a few years earlier by August Kekulé were interconnected by single bonds only, the fourth valence of each carbon atom being directed toward the interior of the ring. 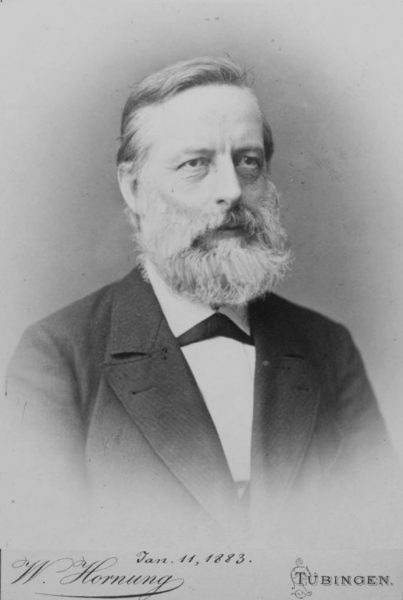 In 1876, Meyer became Professor of Chemistry at the University of Tübingen, where was elected rector of Tübingen University for the year 1894-1895. Julius Lothar Meyer died on April 11, 1895, aged 65. Even today in the twenty-first century, although historians recognize that others, especially Meyer, should be given considerable credit for the discovery of the periodic properties of the elements, most textbooks credit only Mendeleev. Dmitri Mendeleev and the Periodic Table of Elements, SciHi Blog, February 2, 2015. Julius Lothar Meyer, Die Natur der chemischen Elemente als Function ihrer Atomgewichte’ (‘The Nature of the Chemical Elements as a Function of their Atomic Weight’), Annalen der Chemie (1870), supp. b, 354.